You can throw an axe with one or two hands. Look straight ahead, aim for the bullseye, and throw! Only throws that stick count, so throw it like you mean it! 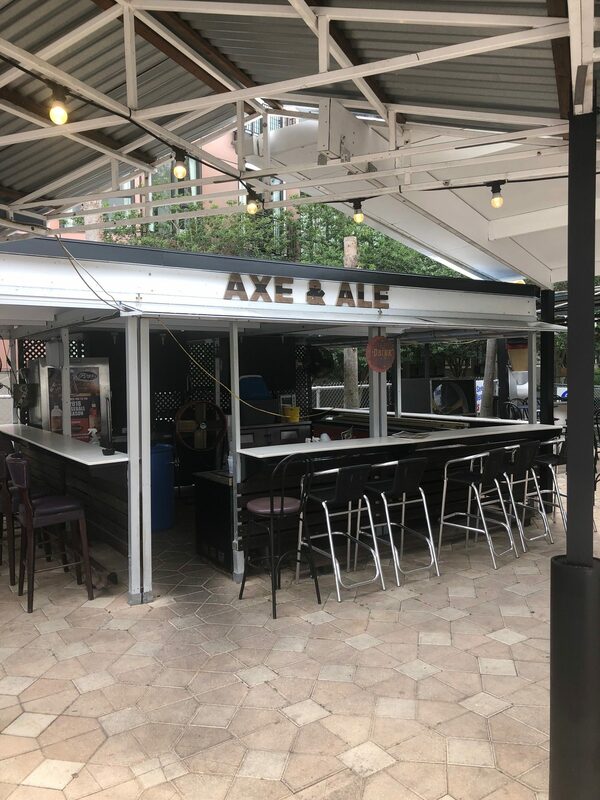 St Pete Axe & Ale is an outdoor venue where axe throwing is king! The first axe throwing range in St Petersburg and the ONLY axe throwing venue in the bay area with food and drinks available! Perfect for birthday parties, bachelor and bachelorette parties, team building, date night, or just an awesome night of tossing axes with friends! Axe throwing is yesterday’s bowling or darts, but SO MUCH MORE FUN! Axe throwing is something anyone can do and everyone should try. The sport of axe throwing is growing at a phenomenal rate throughout the US and Canada, where it got it roots. There is a long history of outdoor axe throwing. Our goal is to be the premier outdoor axe throwing facility in the Tampa/St Petersburg area by making safety the first priority and giving our guests an experience that they will want to repeat again and again. Book your Axe Adventure Now! Many days sell out! Try to book at least a week in advance to guarantee you get your Axe on! Copyright StPeteAxeAndAle All rights reserved.